We have spent the entire first half of the day, praying in some of the amazing temples of Udupi. 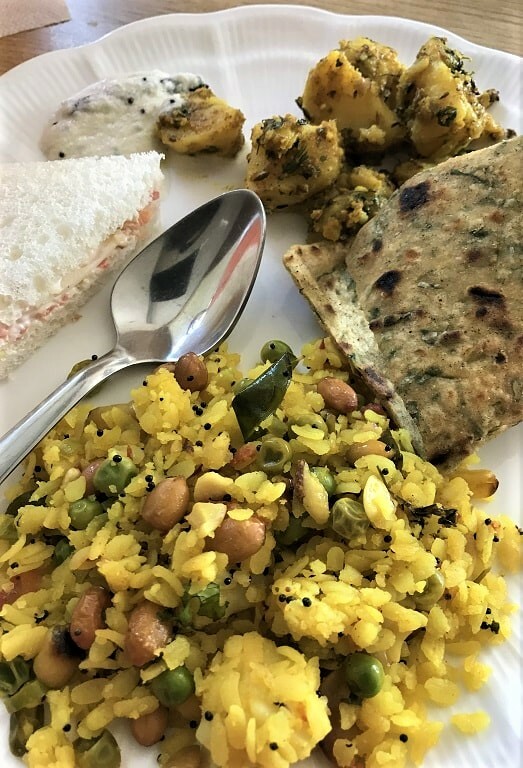 After having local Mangalorean style lunch, we were all geared up for the Malpe Beach and the St. Mary’s Island. 6 km. from Udupi town, Malpe is a natural port, one of the major fishing harbours in Karnataka and above all is home to peaceful beaches. 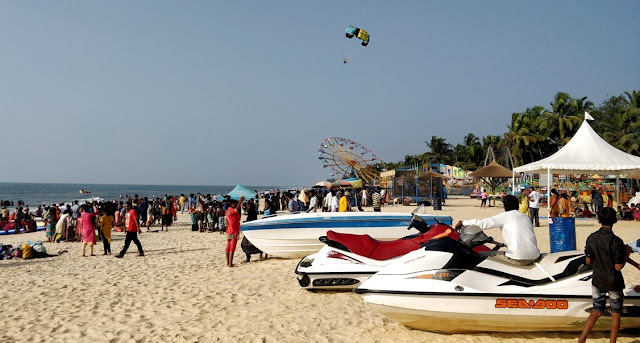 Malpe Beach is one of less explored places and off late have started offering water sport and other adventure activities for visitors. Blue green water on one side, green trees on other side and in between option of long walks along the coast. Settings and ambience makes this place a perfect definition for heavenly place. Malpe Beach is one of most happening places in and around Udupi. Apart from the settings, the biggest attraction here is the St. Mary’s Island which is approx. 6 km. from the coast line. And taking a ferry is the only way of getting to this island. 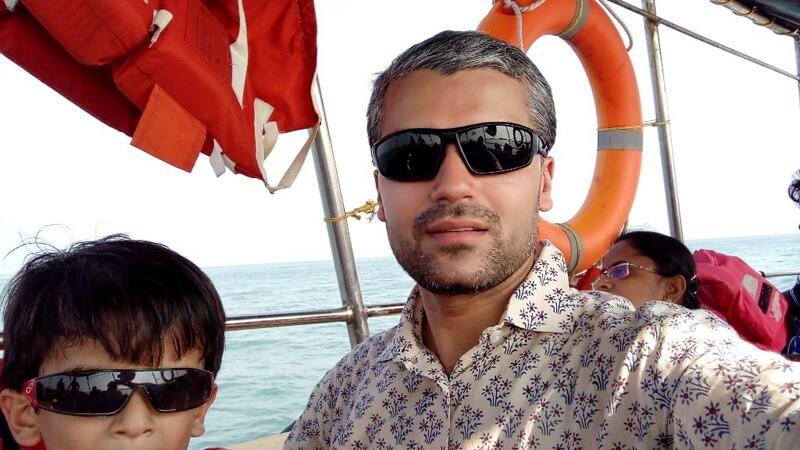 Sit relaxed in a ferry, bring your camera to action mode and enjoy the cool breeze of Arabian Sea. Along the way you will come across many ferries with excited souls on way to St. Marys Island. Ferry operator gave us 1 hour (60 minutes) for the island sightseeing. At first glance it looked like more than enough as the island covers an area about 500 m. x 100 m. only. However very soon we were about to realise that 60 minutes will pass in a flash as one of the most amazing time of our lives. Welcome to St. Mary’s Island. 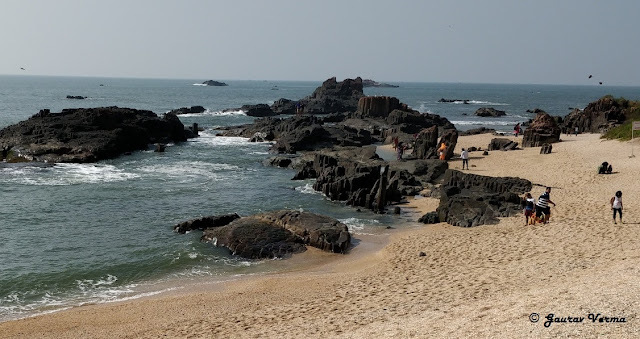 Legend says that in the year 1498, Vasco da Gama, first landed at St. Mary's Islands on his journey from Portugal, named one of these islands, O Padrão de Santa Maria, dedication to Mother Mary, before proceeding to Kozhikode in Kerala. Looks like it is from this that the islands got their current name. Did not knew that we were going to a part of time travel? Distinct and gorgeous rock formations is the first thing to be noticed as soon as ferry is about to touch the St. Mary’s Island coast. Actually these rock formations are all basaltic rock formations. Scientific studies suggest that the basalt of the St. Mary's Islands was formed by sub-aerial sub-volcanic activity. At that time Madagascar was attached to India and Madagascar rifted apart around 88 million years ago. Taking camera is allowed inside the island premises after paying prescribed Fee of INR 200, else you can deposit the camera in the designated counter and let your mobile capture the stunning natural landscapes. Prominently covered with coconut trees, the island is also called Coconut Island. There is no habitation on the islands. At certain places rock formations are so unique that you will forget your beach activities and will turn in to a Geologist. 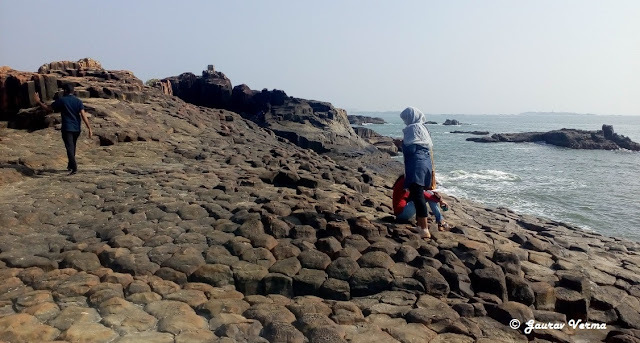 Likewise, the northernmost island has a hexagonal basaltic rock formation, the only one of its type in India. The beach here is also a heaven to the seashell collectors. Collect seashells of various shapes and sizes littered along the coast. My kid had collected so many shells that I had to carry them in my pockets and then inside one compartment of my camera case. 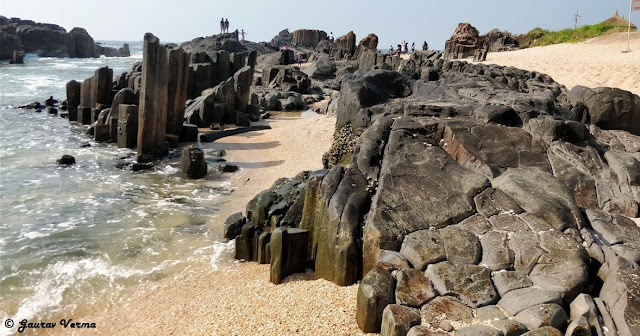 However, you will not be able to test your swimming skills as there is very less sand on the beach and the beach it is crafted with basaltic rocks all around. Security guards have been deployed around the beach to check any extra adventurous souls. Also there is a small eatery on the island. Please be informed that littering on the island is strictly prohibited and officials keep a vigil for enforcement of the rule. Regular ferry service (Rs. 300 per head) ply from Malpe Beach, however frequency depends upon number of passengers. Despite getting crowded with many people in the afternoon, the Malpe Beach is extremely neat and clean. White sandy Maple Beach is quickly getting popular with those who are seeking solace with some adventures. 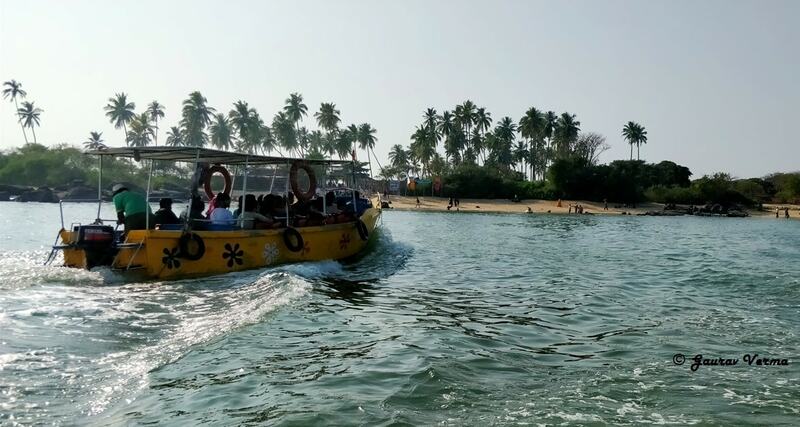 Buses ply regularly from the Udupi town to Malpe Beach. If you have time and want to explore the nearby areas, we suggest to hire a taxi as there are many spots like Malpe Fish Market, Delta Beach, Kemmannu Hanging Bridge and others to be explored and enjoyed. 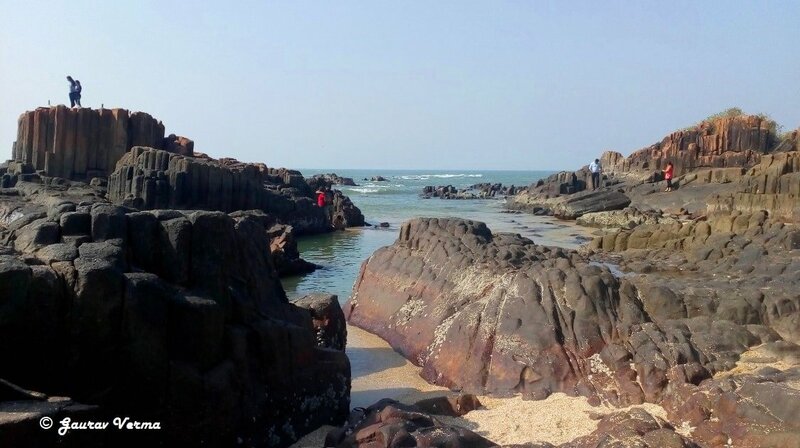 The St. Mary’s Islands are one of the four geological monuments in Karnataka state and declared as one of the 26 Geological Monuments of India declared by the Geological Survey of India in 2001. The monument is considered an important site for "Geo Tourism". 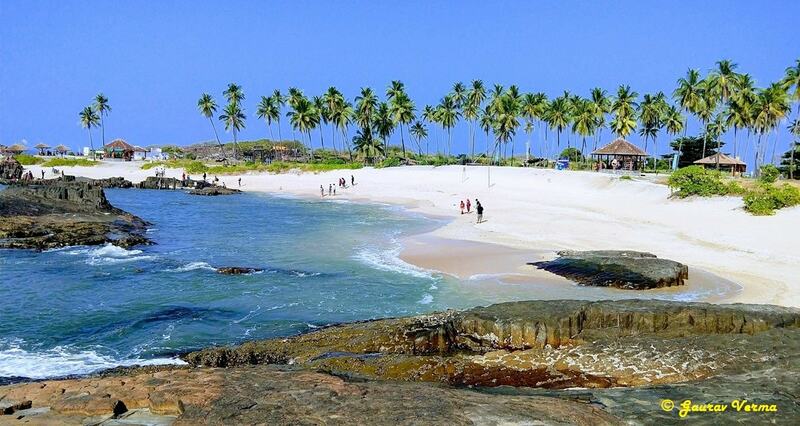 Malpe is the first and only Indian beach with a 24/7 WiFi and also has a luggage counter to store your luggage. Malpe Beach is also a centre for numerous beach side concerts and festivals organised in Udupi.